When this little gem arrived on my doorstep, I could hardly contain my glee. 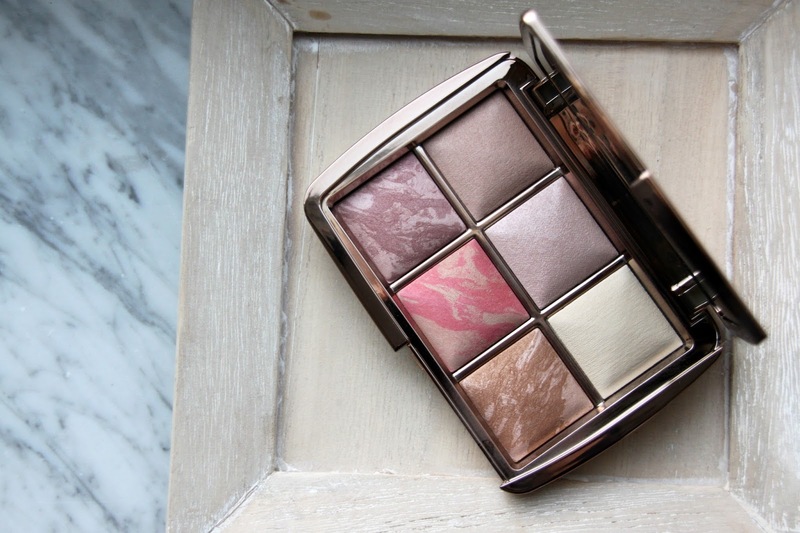 The Hourglass Ambient Lighting Edit (£ 65.00) is a gorgeous palette. Though, at 65 pounds, a purchase to consider wisely. What are my views? Let's start with the different powders. You get six shades in this palette : three powders, two blushes and one bronzer. - Diffused Light (a yellow shade to highlight that little triangle shape under your eyes). - Luminous Bronze Light (quite dark, yet so subtle and glowing that I can pull it off). It might not look it, but this palette is small. Very small. In fact, it contains less product (0.294 oz) than one Ambient Lighting Powder (0.35 oz). This doesn't bother me (a Real Techniques Multitask Brush, for reference, fits easily), but the fact that the price is more than their powders that contain more product does bother me. This they should look into. That being said, I haven't used any of my other powders since I got this about 3 weeks ago, and I can easily see myself only using this every day until I run out. So, is it worth it? Yes, if you can make the splurge, I think it is. The quality is simply gorgeous. They stay on all day and they give my face a glow like no other products can. 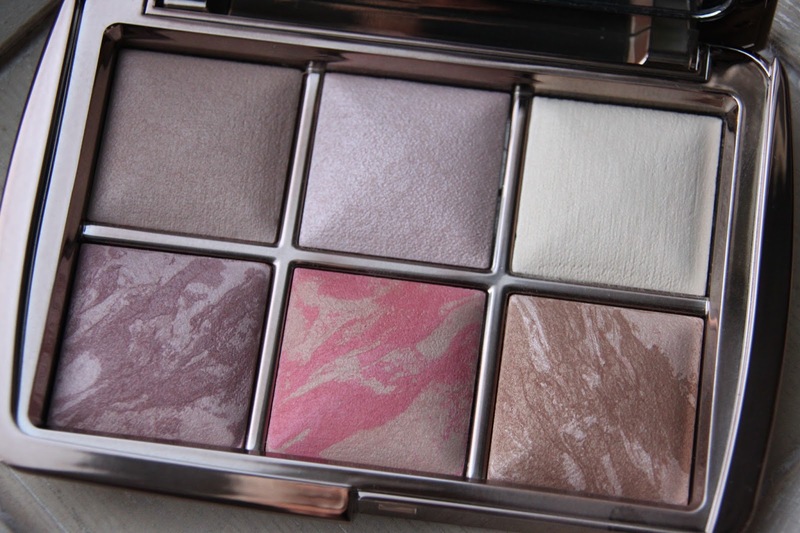 I am in love with this palette and I feel it would make a great present for any beauty lover.